Combine all ingredients in a blender cup. Process for about 30 seconds. Pour into a chilled glass, and garnish as desired. The holidays are over. Wasn’t it grand? The cookies, the cakes, the candies, the pies, the cheese plates, the potato puffs, the champagne for toasting, the shopping fueled fast food binges – oh yes, I can (and did) go on. And yes - it was all that and a bag of (literal) chips . . . and here I am, at the same spot as every January – craving something a bit greener, and leaner so I can get back into my skinny jeans minus the muffin top (or shall we call it a cookie top?). Even though everyone is striving for all things healthier, a little fun must be had. The solution? Surprisingly, the daiquiri. 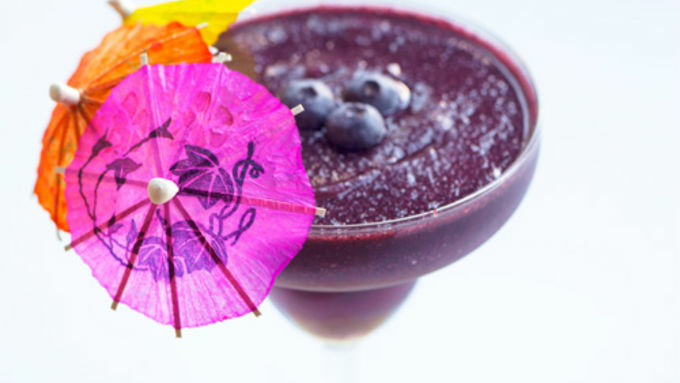 A Skinny Blueberry Daiquiri to be exact. How, you say? Well, first off, fruit. Who can argue with fruit? Then a few packets of stevia (or your lo-cal sweetener of choice) in place of the simple syrup. And. It. Still. Tastes. Delicious. 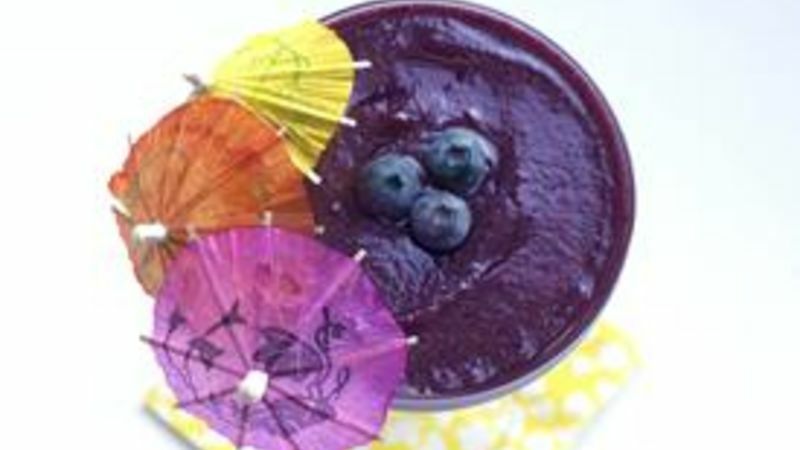 I used blueberries to make this skinny daiquiri because they’re sweet and delicious, and also full of antioxidants. But I can’t think of a fruit that wouldn’t be fabulous blended up with a bit of rum! 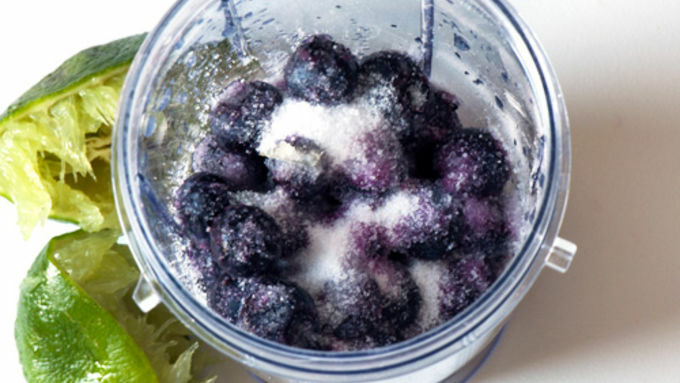 (And make no mistake – either fresh or frozen fruit is fine. I actually prefer frozen as then less ice is needed). You’ll also need one fresh lime, 3 packets of your favorite sweetener and white rum. And if it’s wrong that I made my Skinny Blueberry Daiquiri in the protein shake mixer I got for Christmas, then I don’t want to be right!